Tankers Pose Unique Hazards to Arizona Drivers | Phoenix Personal Injury Law Blog - Breyer Law Offices, P.C. Any large truck wreck can have catastrophic consequences for all the people (and vehicles) involved. When the truck is a tanker trunk, however, there are unique hazards that can cause worse injuries to the victims. Tanker trunks can be spotted easily on Arizona’s highways. Their “trailers” are cylindrical in shape and sit lower to the ground than those of ordinary transport trucks. Tankers are designed this way for many reasons. The first is that cylindrical containers don’t have the same weak spots rectangular containers do. Sharp corners are not as capable of handling immense pressure as rounded corners. (This is also why commercial airplane windows are round and not square.) In a collision, the container of a tanker truck may undergo extreme pressures. Many tanks are even pressurized from within. If the container was not cylindrical, it would be more likely to explode. The cylindrical shape also has a lower center of gravity, which adds to the stability of the container—particularly important when the goods being transported are toxic or hazardous. However, if the container is not full enough, the liquid inside can slosh back and forth, remaining in motion until stopped by an external force. That can unbalance the truck, making it harder to control and more likely to tip over. Cylindrical tanks are equipped with huge sheets of metal to help reduce the surge, but truckers should not be on the road with unsafe loads to begin with. The cylindrical shape of a tanker’s container is most beneficial when unloading the liquid cargo. The liquid can be funneled to the bottom; and once the cargo is extracted, cylindrical tanks don’t have the nooks and crannies of rectangle trucks, making them easier to clean. While the shape of tanker trucks may be necessary for the cargo they’re transporting, it can also make them more dangerous. Tanker trucks are more likely to rollover in an accident, which can affect not just those directly involved in the accident, but those in the immediate area as well. Tankers often carry dangerous cargo. 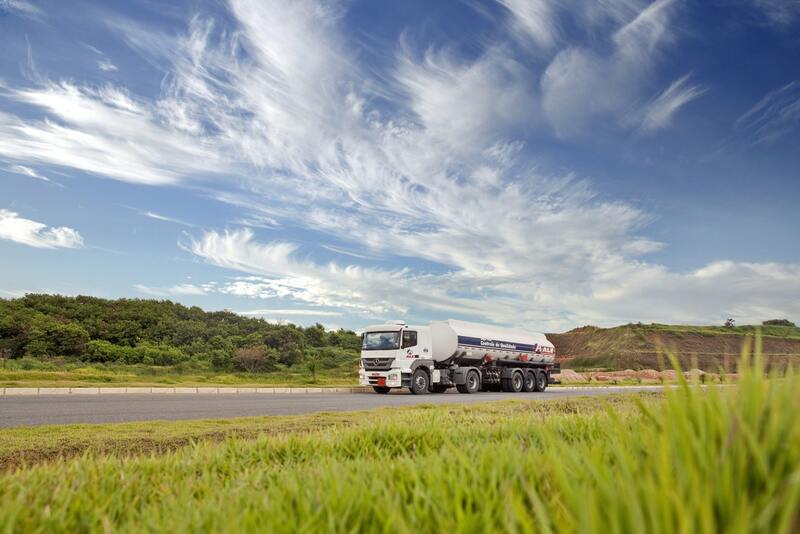 At times, tanker trucks may carry non-toxic substances such as milk, but in most cases, tanker trucks are transporting gasoline, diesel, ethanol, household and industrial chemicals, pesticides, and even radioactive material. That was the case in August 2018 when a tanker truck carrying hydrogen peroxide overturned just west of Wilcox in southern Arizona. The freeway had to be shut down, and one person was taken to the hospital. Police arriving on the scene said this spill did not pose a danger to the public, but often, these accidents do. When a toxic chemical is spilled onto a roadway, it can cause chemical burns to anyone who comes in contact with it. Radioactive spills can contaminate a large area, and may require evacuation in the surrounding communities. Tanker trucks also carry flammable liquids such as gas and oil, which can explode in the event of an accident. The injuries people usually suffer after an accident with a tanker truck are enormous. Burns, scarring and disfigurement, traumatic brain injuries, amputations and crush injuries, and internal organ damage are the serious injuries commonly sustained after a tanker truck accident. Victims need to receive medical attention immediately following an accident. These injuries can be costly and difficult to treat, so if the tanker’s driver was at fault for the accident, the tanker company should be held liable for paying those bills. But going up against truck drivers and big trucking companies can be intimidating and present its own challenges. Trucking companies don’t want to give up driver logs that could indicate negligence, and they have their own team of lawyers who are ready to fight you. This can be difficult for anyone to face, particularly when trying to focus on your recovery. The experienced Phoenix tanker truck accident attorneys from Breyer Law Offices, P.C., will not be intimidated by these companies and their lawyers. We will conduct our own investigation to determine the cause and liability of the tanker crash, and fight to get accident victims the compensation they’re entitled to. For a free consultation with The Husband and Wife Law Team, call (602) 267-1280 today.